Made for Asian skin, Estee Lauder’s Nutritious Vitality 8 range is most suitable for women in their early 20s to early 30s. Infused with antioxidants, the line promises to keep skin supple, looking youthful, and radiant. Basically to treat the early signs of ageing. The Nutritious Vitality8 Radiant Energy Lotion – Intense Moist ($76) is a viscous liquid that soaks the skin with moisture. Perfect for days when the skin feels really parched (or really oily because it is dehydrated), and you need to soften it quickly before applying the rest of your skincare. It has a slippery texture, so you could even use it as a super-light moisturiser. The more lightweight version of this lotion is Fresh Moist ($76); best used to soften normal skin. Even if you have good skin, a skin-softener is an essential first step to making sure that your skin better absorbs skincare applied afterwards. To keep skin perky on-the-go, the Radiant Energy Mist ($40) is another option. The watery solution is also good for dampening your makeup sponge so the foundation is blended more evenly. Its 30ml size also makes it perfect for your carry-on travel pouch too. Another new addition to the line is the Glossy Lip Balm ($40). 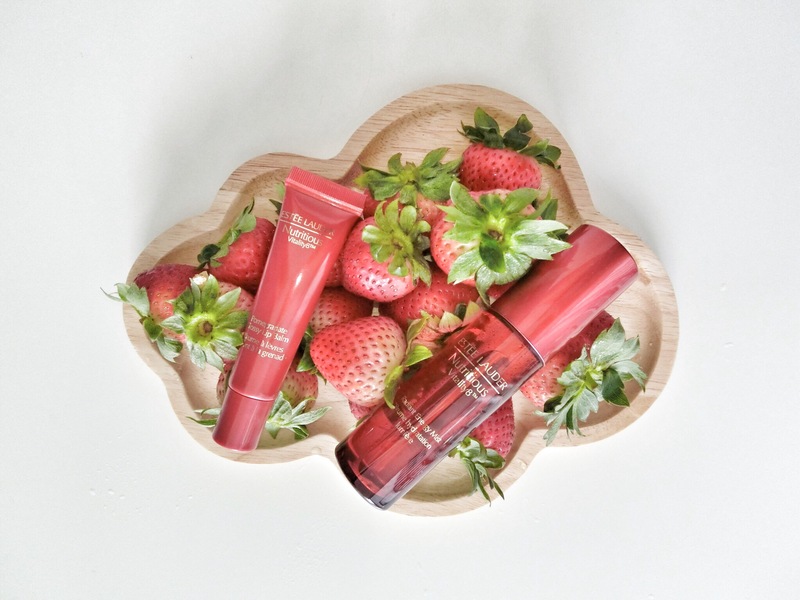 Containing fruit antioxidants, it conditions lips while giving it a healthy pink tint. I love its non-sticky texture and glossy finish. Made for days when you don’t feel like wearing much makeup. This product’s perfect for me- definitely worth trying!